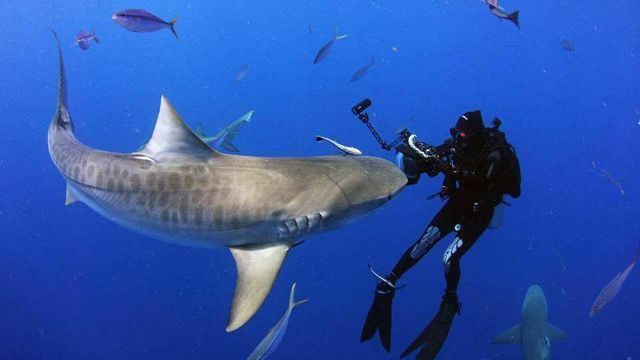 The first time Samantha Schwann swam with a tiger shark, it made her heart stop. Now? No big deal. 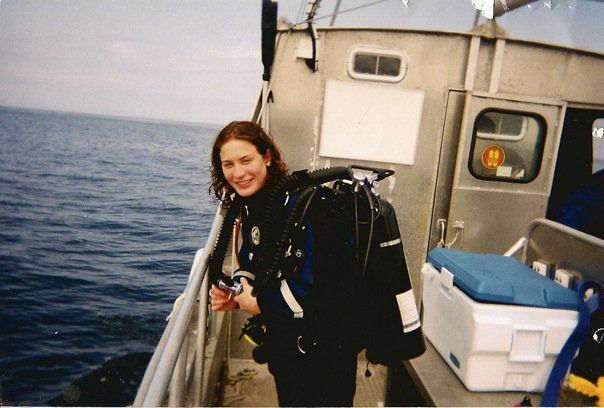 Samantha Schwann has more than 7,000 dives behind her. This was when she was an instructor in 1997. The Beastie Boys are better than AC/DC, according to sharks in the Sea of Cortez. Local underwater photographer Samantha Schwann will be showing her photographs Saturday, Feb. 9 at the UA's Center for Creative Photography and talking about sharks' behaviors and senses. The talk, called "The Secret World of Sharks" is sponsored by the UA's Institute of the Environment. Schwann has been diving since the age of 15, and has logged cage-free dives with 21 species of sharks, including tiger, bull, hammerhead and mako. Australian shark-spotters have used AC/DC to attract great white sharks, so Schwann wanted test that behavior on sharks in the Sea of Cortez. Last week, she dove with a speaker and some tunes. She anticipated mako sharks would show up — they're in the same family as great whites. Instead a large number of blue sharks showed up, scaring off the lone mako. It seems that blue sharks prefer Beastie Boys to AC/DC. "It was a record day," Schwann says, adding that she had one Beastie Boys song in the AC/DC playlist — "So What'cha Want" — and just about every time it played, a shark nuzzled the speaker. "It all has to do with the frequency and is very similar —the low vibrations and pulsing — to a dying fish," she says. Through her dives and her photography, Schwann hopes to share the beauty of the ocean and inspire a bit of empathy for sharks. She's also on a mission to showcase Hope Spots — ecologically important habitats in the ocean that are protected or in need of protection. Her series on Hope Spots recently won several international awards. Read more about Schwann's work in our Badass Women of Tucson profile. In particular, Schwann uses her work to highlight sharks as an at-risk but necessary part of ocean life. "The end goal is to change some perceptions, to replace some of the fear with fascination..." Schwann says. "My intent is to try and have people think about sharks less as mindless eating machines and more as something that is an essential part of the ocean." When: Saturday, Feb. 9, 6:30 p.m.